As they should be - see? No fence! 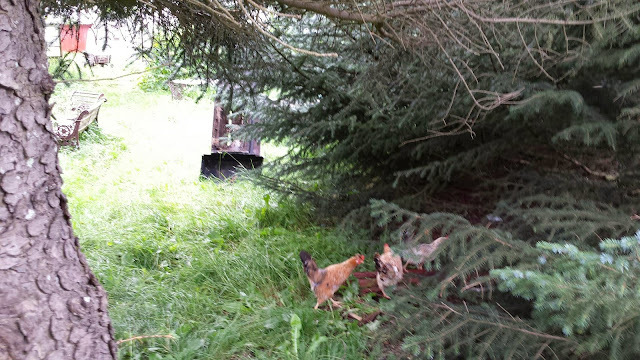 It always makes smile to see the chickens roaming around free at Vidiholl. Leopold loves finding the chicken poo and accidentally stepping in it. I do not, for one minute, believe it is an accident.